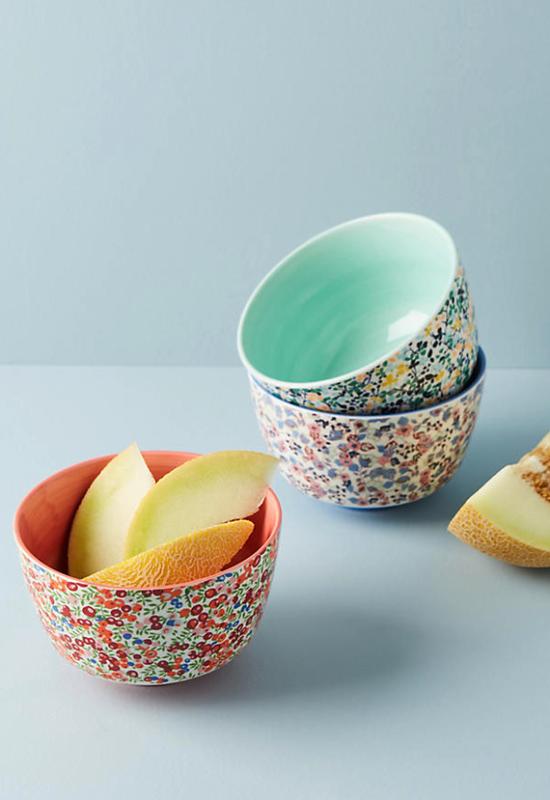 The Liberty for Anthropologie collab is here and I haven't been this excited since, well since Liberty for Target. Maybe more excited. Because the truth is, the Target line was mostly apparel — not home goods. And as much as I wish to the contrary, Liberty prints are simply not flattering to me. Too busy. You see, as a freckled person I already come with a small print pattern all over me. Adding another is unwise. Also, I am broad of shoulder and generous of bust — more reasons that tiny prints are a no-no. But decorating with Liberty — yes, this I can and happily will do. Liberty, of course, is the storied London department store that has been in business since 1875 on Great Marlborough Street. Founder Arthur Lasenby Liberty first sold decorative arts imports from Japan and the East. By 1884 the company had ventured in to fashion and and fostered relationships with textile artisans from India and Arts & Crafts era designers in London such as Archibald Knox, Dante Gabriel Rossetti and William Morris. 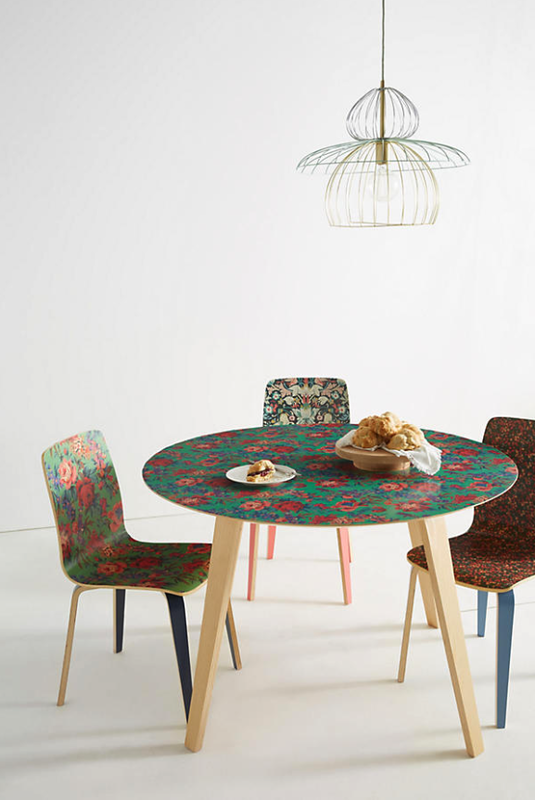 Liberty was a major creative player in the rise of the Art Nouveau mobvement, an aesthetic that remains in the company's signature prints today. So first of all, can we take a moment to appreciate this opening photo. Here it is again, just so you don't have to scroll back. It's like they are talking to me. Hey Margot, here's EXACTLY how you can incorporate Liberty into your home: put it with some strong abstract art (check), white walls and floors (check and check), neutral carpet (check) and then just add a FRENCH BULLDOG (yessss, coming in about 12-14 weeks — so happy about this you have no idea), then add a great accent piece in Liberty for Anthropologie. Well, OK! One of the main strengths of this collection is its breadth. 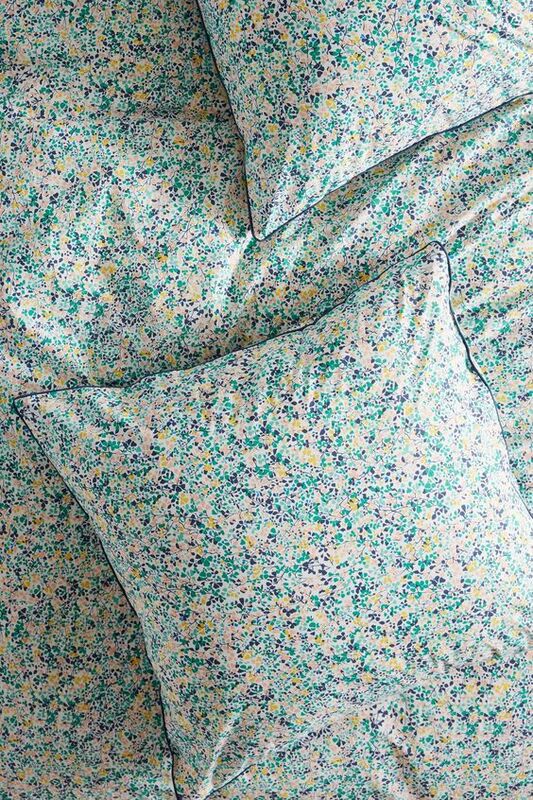 While not very many people will make the commitment to a Liberty print floral sofa (think about it, do you know anyone with a floral sofa? ), bedding or accessories are easy peasy. 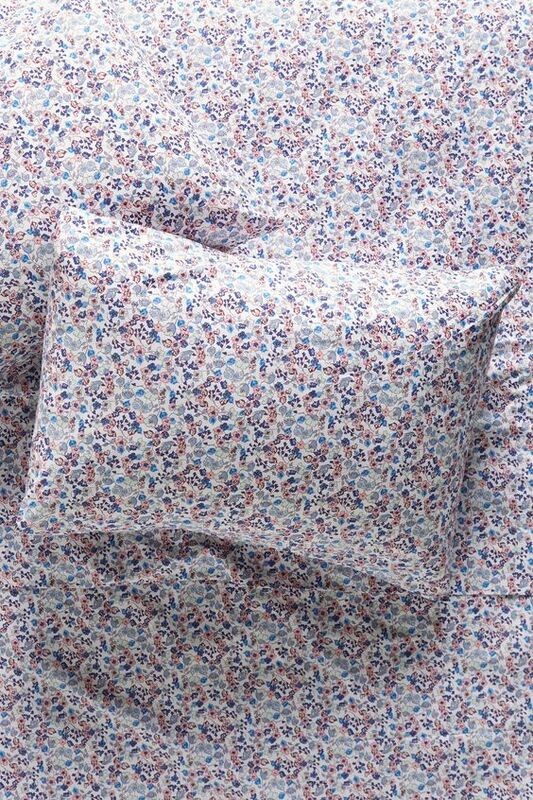 The bedding line includes several patterns and one embroidered design. My only beef with the collection is that there are just two accent cushions. They are lovely, but there are only two. If your budget is tight there are a bunch or super easy buy-ins. Pretty pretty. Schedule the tea party now. 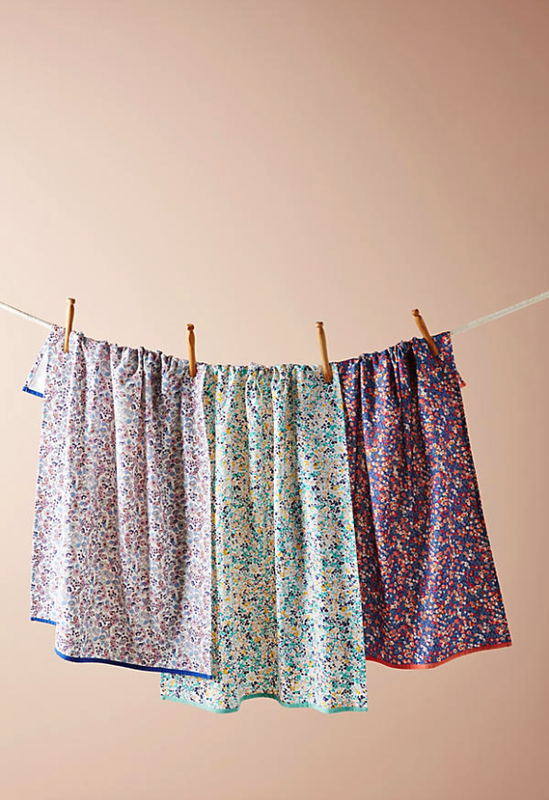 Shop the entire collection of Liberty for Anthropologie.